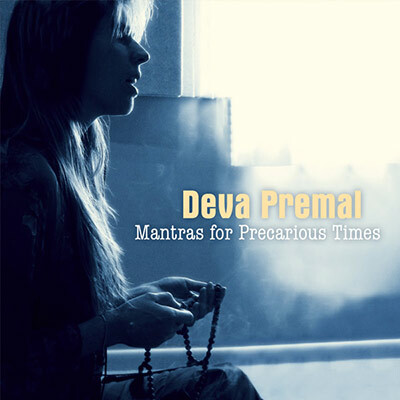 Mantras For Precarious Times is offered as a guide for daily meditation, and includes seven mantras chosen specifically to support us in these challenging times. Om Gum Ganapatayei Namaha (Removing of Obstacles); Om Shanti Om (Peace); Om Shree Dhanvantre Namaha (Healing); Om Namo Bhagavate Vasudevaya (Liberation); Om Radha Krishnaya Namaha (Joy & Bliss); Om Shreem Mahalakshmiyei Namaha(Abundance); and Om Kama Pujitayei Namaha (Sacred Love Making). Each track is about 7-9 minutes in length, short enough to encourage a daily practice and long enough to feel the power of the mantra. Read more about the meaning of each mantra and how to use them as a meditation practice here.